ZTE has announced its latest smartphone, the ZTE Nubia Z18 and we have all the devices on this new Android handset. The ZTE Nubia Z18 is equipped with a 5.99 inch display that has a Full HD+ resolution of 2160 x 1080 pixels. The device is powered by a Qualcomm Snapdragon 845 processor and it comes with a choice of 6GB of RAM or 8GB of RAM. There are also two storage options, you can choose between 64GB or 128GB< unfortunately the handset does not feature a microSD card slot. 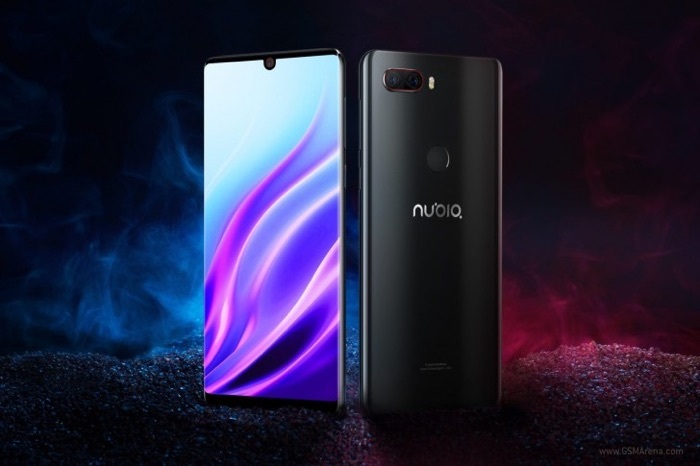 The ZTE Nubia Z18 comes with high enc cameras, on the back there is one 24 megapixel camera and one 16 megapixel camera, on the front there is an 8 megapixel camera for Selfies and video chat. The handset also comes with a 3450 mAh battery and Quick Charge 4.0. The handset is now available to pre-order in China, prices start at CNY 2,799 for the 6GB model and CNY 3,299 for the 8GB model.